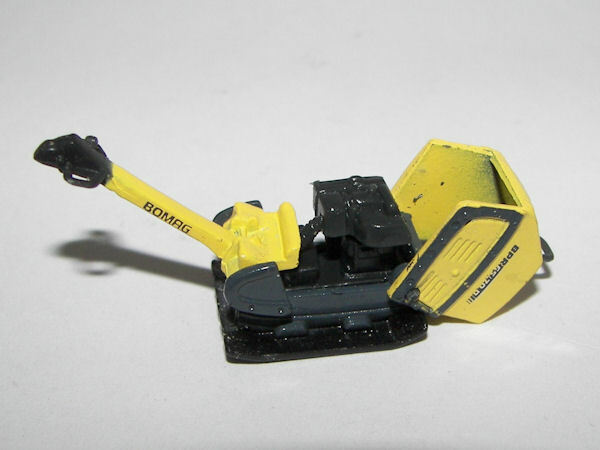 The small scale model of the Bomag BPR65/70D reversible vibratory plate is made by Kaster. Despite the small size of just a few cent, the model is nicely detailed. The model features a nicely imitated control lever and a lifting point. 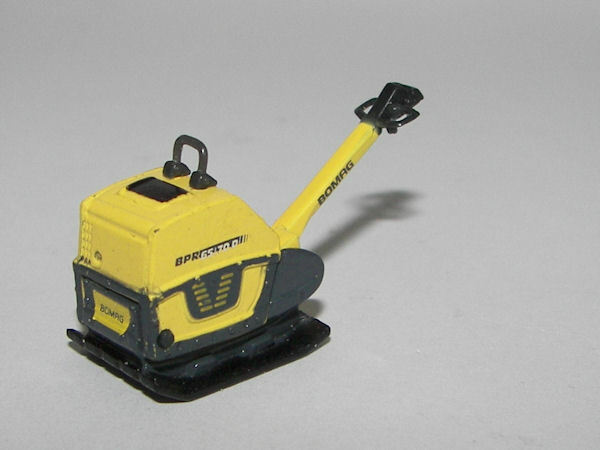 The model has the brandname and type printed on various locations and is painted in the original Bomag livery. Kaster hasn't done a very crisp paint job, but in reality it's les disturbing than in the pictures. A nice addition is the possibility to open the cover to reveal a reasonably detailed little engine. Together with the BT65/4 tamper, the BPR65/70D is a nice addition for use as load or diorama accessory.